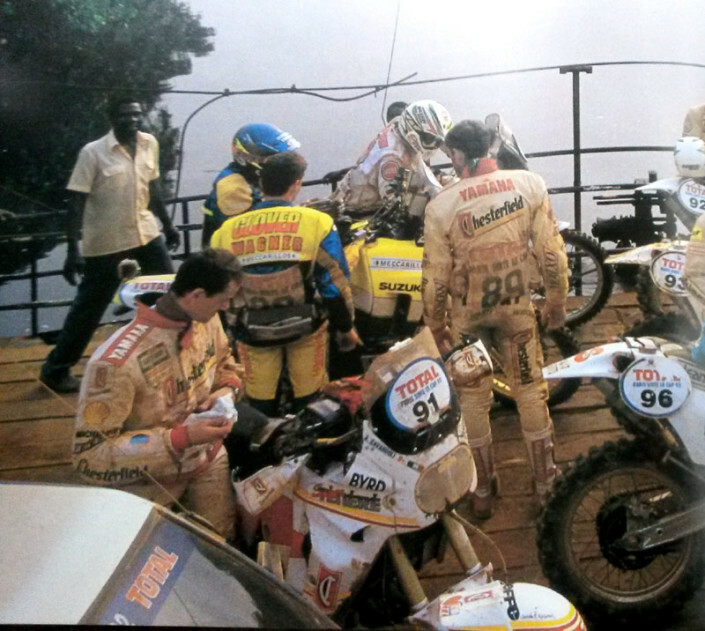 Group ferry during the Dakar 1992, you recognize: Gilles Picard, Edi Orioli, Thierry Magnaldi, Marc Morales, Gilles Lalay. 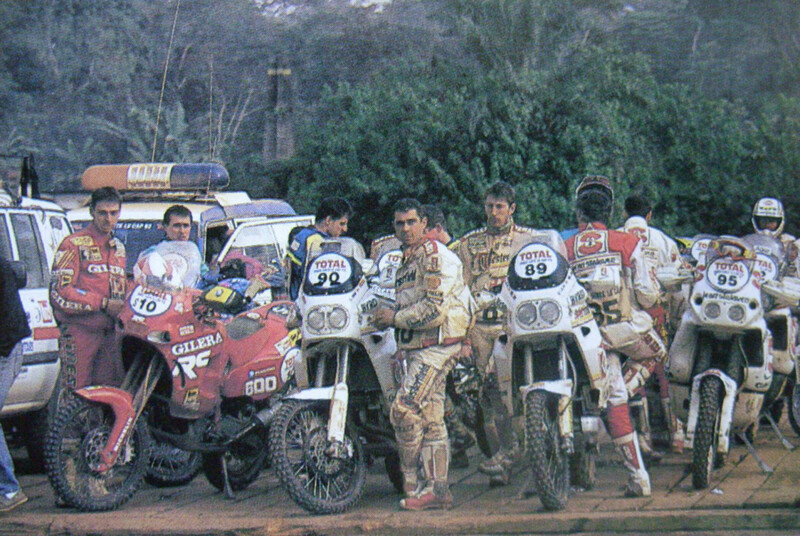 Angel Cavandoli, Lara, Wagner, the Team Cagiva and Trolli. 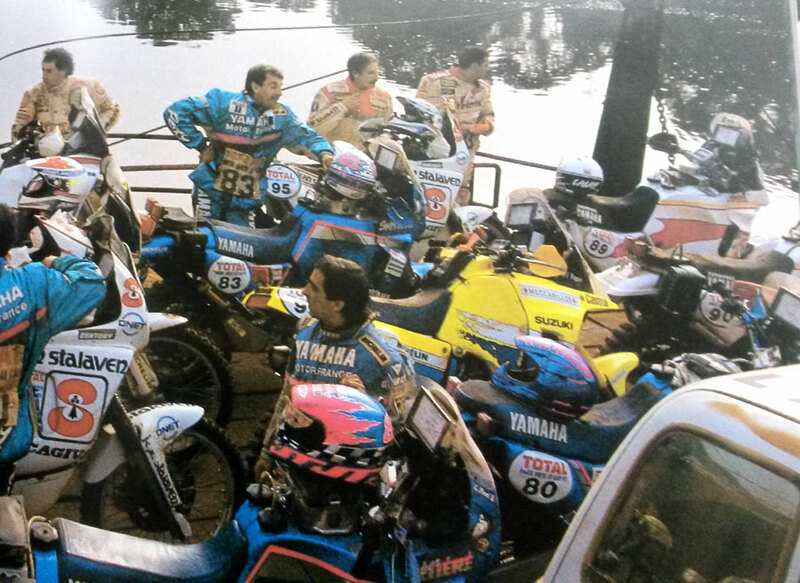 Ferry towards The Cap during the Dakar 1992, recognize Sotelo, MAS, Lalay and Morales. In this group of crossing 1992 We recognize #10 Sotelo, #90 MAS, #89 Lara, #95 Morales and a little further back #92 Orioli. Lalay and Gilera together in 1990? There was a time when Gilles Lalay, winner of Dakar 1989, and the House of Arcore were very close. 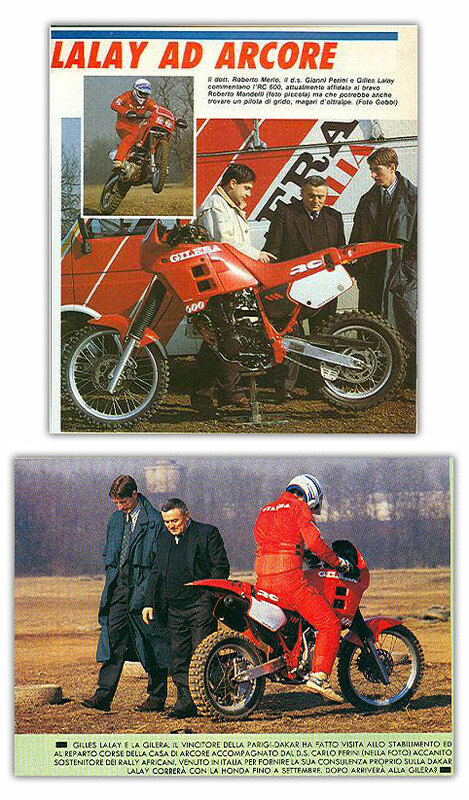 In these pictures the French paid a visit to the factory and the Gilera Racing Division, accompanied by d. S. Snow Panda, staunch supporter of African rallies. 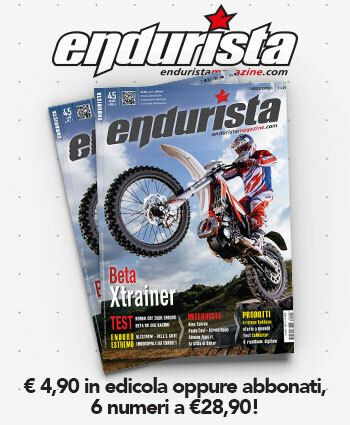 Come to Italy to provide advice right on the Dakar, Anita during those months was still under contract with HRC. 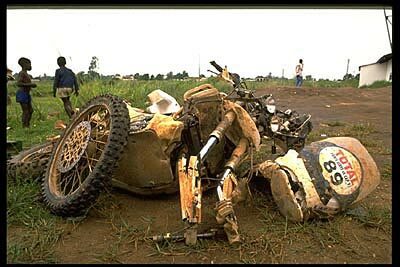 History unfortunately told a different denouement, as Gilles agreed with Suzuki and ran the Dakar 1990 with DR BIG Thumper. 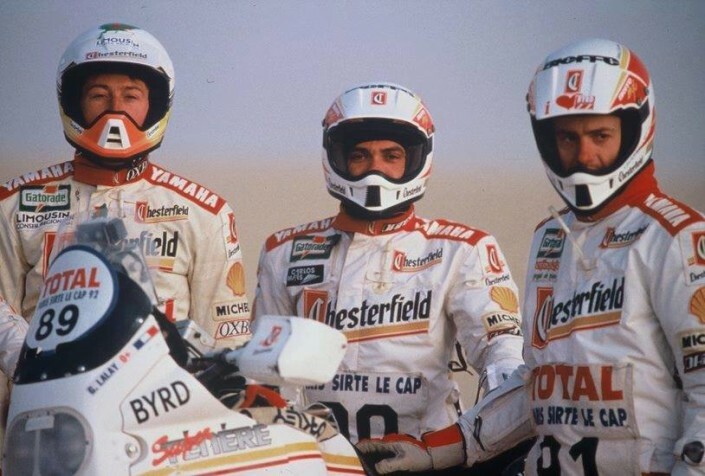 http://www.parisdakar.it/wp-content/uploads/lalay-gilera-1989.jpg/01/2016 823 482 iron http://www.parisdakar.it/wp-content/uploads/2015/11/new-logo-PD-300x65.png iron2016-01-04 17:30:102016-01-05 14:13:41Lalay and Gilera together in 1990? 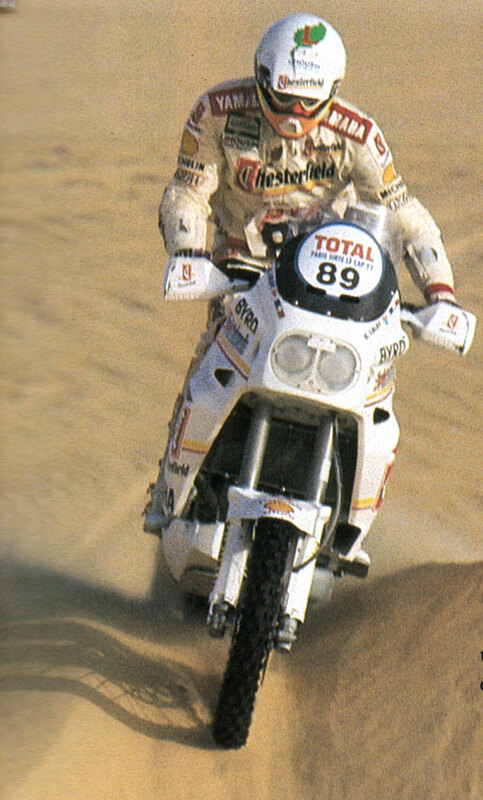 Gilles Lalay, winner of the Dakar 1989, He died on 7 January 1992 at noon on the dusty track between Franceville and Pointe Noire, in Congo. 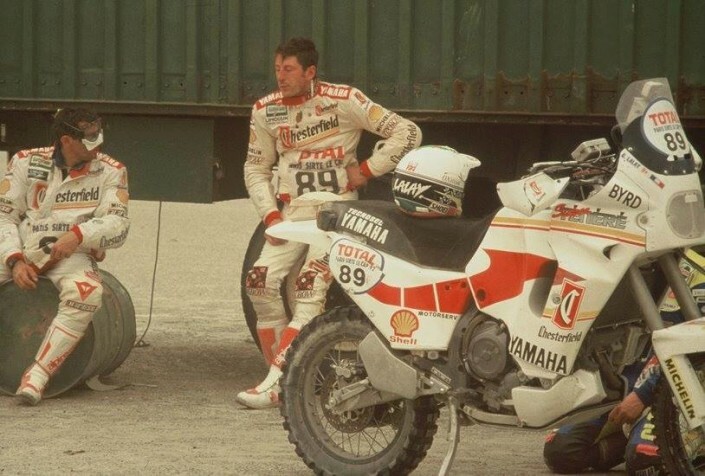 The Yamaha rider Italy was in a stretch of transfer, 130 kilometers after the “Special”. A dell machine’ organisation of Paris-Le Cap, a coach of first aid that went in the opposite direction, swept Lalay. A violent impact, the 29-year-old French rider died instantly. Masters and used to absorb everything, the organizers of the race before they made note that Anita, at that time, was too strong and he had cut a curve, then you are left with the usual considerations: “A tragic sting in the tail of destiny”. Considered the background, a reconstruction of the accident will never be made with accuracy. The driver of the car, at the time, as an organizer has a name and can not say anything. In hindsight, called out by the teeth, This is an absurd death in a raid that has no technical meaning and sporty. He made it with great emotion and elegance Daniele Papi, Yamaha team manager Italy: “We're going home. Without any definite controversy. And died one of ours and we feel wrong to stay here. Certain, all you and’ happened in this race we loved”. On the dynamics of the tragic accident only shreds of evidence. 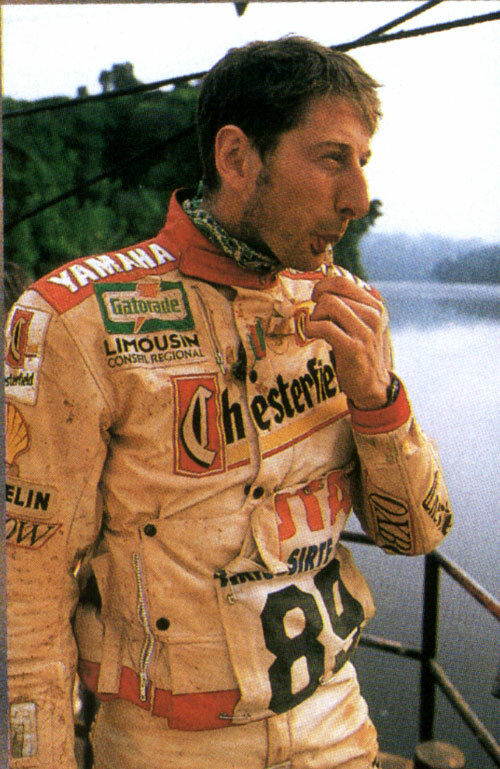 Angel Cavandoli, a teammate of French Centaur, saw Gilles Lalay ashore, property, no traces of blood on his face. Why SOS machine goes in the opposite direction to the race there were vague explanations: at first it was said that the car was succoring Jean Christophe Wagner (He also seriously wounded yesterday), then the machine was a normal relief organisation. In a brief press conference, Gilbert Sabine did not add anything to the doubts that we are and will remain. And of course: “The ride continues”, with an obtuse and dogged tenacity, Although all already decided. The ranking of motorcycle and’ Crystal clear and can not change, because the slopes from N'djamena in Cape Town are narrow, dusty and trees: No one dares do an overtaking, who starts first can no longer lose. Who we test is extremely, as they did yesterday The doors and strip contains, which are inevitably fallen. The same speech (maybe even more) applies to machines. 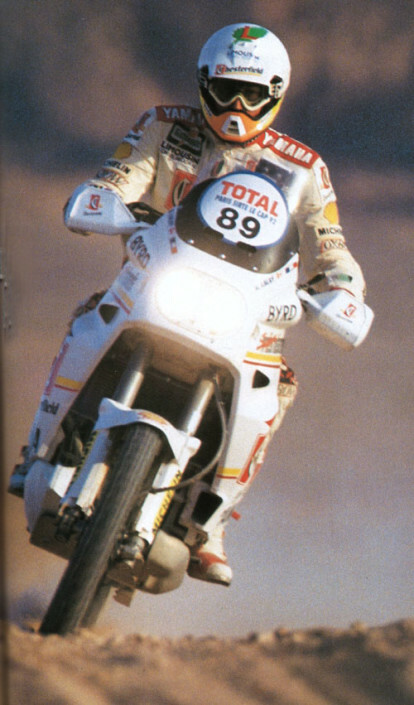 Gilles Lalay he understood very well that the ride was over. Monday night at Franceville ate the last pot of “Spaghetti italiens” of his life: they had cooked Matilde Talib and Federico Felix. It was hot and Anita had been at a table of the small camp of tents near the’ plane of Yamaha, until ten o'clock at night. Had commented on the spaghetti cooking: “Too al dente for me that I live near Limoges”. Then it was almost indirectly lifted off a series of criticisms that came: “He's always there’ in the Group, does not risk anything”. Gilles had understood and explained: “And totally unnecessary risk under these conditions. You can't overtake. You can never say that a race is over, but in this case I can't find other definitions”. It wasn't the first time Anita spake these things. With its Sports Director, Aldo Betti, the French rider had already confided before the start of the Paris Le Cap: “Or you get in your head to Pointe Noire or is over”. 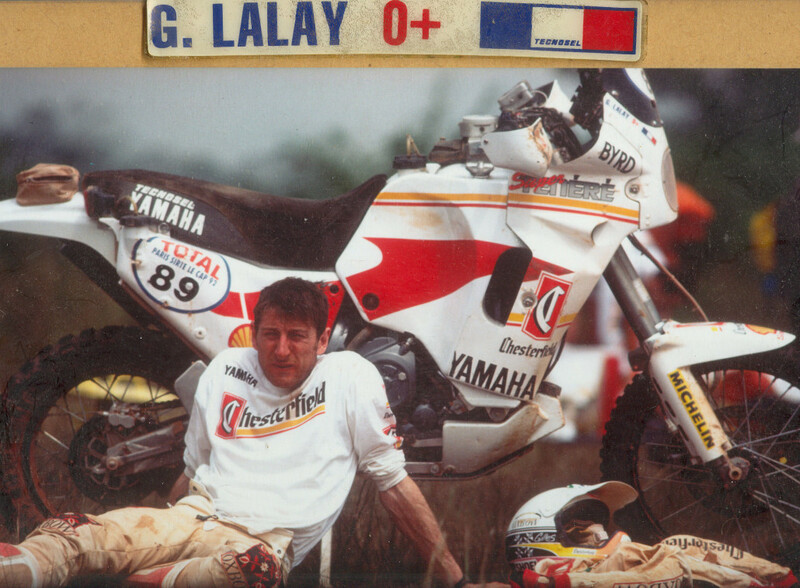 But the absurdity of death of Gilles Lalay isn't in these narrow tracks, in danger of overtaking. 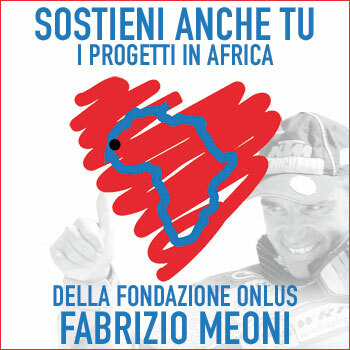 This race, It costs to each well 27 and a half million lire registration only, does not seem to offer the necessary safety. Or because they want to cross a territory in war or because the machines in your organization are not familiar with the slopes (as and’ took place this year in N’ Gougmi) or because an ambulance coach goes in the opposite direction to the race. Then it happens, inevitably, that, the world's most famous rally, a serious professional as Anita may be invested by the organizers. Someone commented that it "was an accident by road”. And you have to put your arms out thinking that at the rally, smuggled to the most beautiful in the world, You can die as the Saturday night near a nightclub in Riccione.